Why are The Hobbit Films So Mediocre? About ten years ago, the Lord of the Rings movies wowed us. It had everything. The story, characters and effects were all great. It even set records for awards! 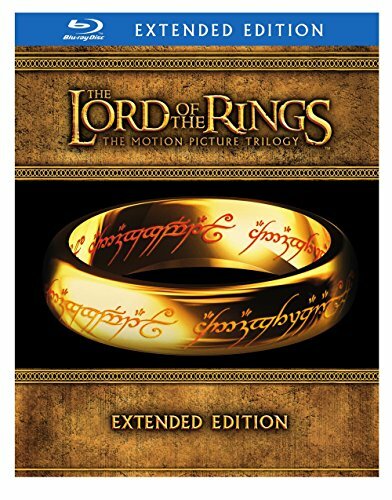 Now, next to that shining example of excellent cinema, we have this dull, lackluster current trilogy called The Hobbit. Why is it so bad? Why was a 150 page book split up into three movies that are each about three hours in length? The director, Peter Jackson, lifted content from the appendices to add context for the original trilogy. The plan was to make it so the end of the last movie leads directly to the beginning of Fellowship of the Ring. In theory, this sounded great. In reality, it was clumsy and included inconsequential scenes that didn't relate to the main plot of the movie. You might find yourself almost falling asleep watching it. Lifting from the appendices was done in the original trilogy as well, for the Aragorn/Arwen love story. Then there's Tauriel and Kili in the Hobbit trilogy. Where's Tauriel in the books? She's nowhere in the main story or the appendices. She was added because Tolkien didn't name the wood elves in the books. That's fine to give a name to a minor character as long as the character remains minor. Why change the story so this once minor character falls in love with one of the major ones? Tauriel and Kili was just an awkward addition. On the subject of elves, I know they're supposed to be graceful and balanced, but does Legolas have to snowboard down everything now? He skated down some stairs in The Two Towers and down the trunk of a mumakil in Return of the King, but now it's just over done. They should've kept the quota to one Legolas skating scene per movie. Then there's the orc, Azog. Why does he look terrible? Why is it that Gollum and Smaug look awesome, but the same CGI ingenuity can't be used for Azog? The technology and skill is obviously there with them. I asked a 3D animator friend what he thought. He assumes an animator on the team wanted to continue working on the goblin, but producers rushed out the product. Producer: Screw it, people will pay money to see it when it only looks like this. So again, we come back to the main question: Why are the movies like this? My theory is Peter Jackson just didn't care as much as he did for the original trilogy. If you think back, PJ didn't even want to do the Hobbit movies originally. The movies were in production hell for a few years until he finally caved and agreed to do it. That results in a relatively half-assed production. It's very similar to how Sam Raimi was forced by producers into including Venom in Spider-Man 3 which produced a disjointed cluster of a movie. In the end, there are some good things about The Hobbit movies I appreciate, but on the whole it just isn't my cup of tea.